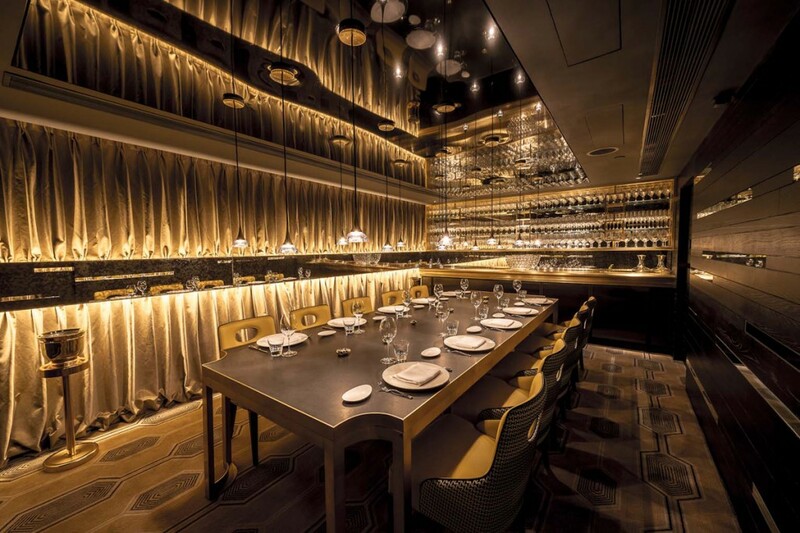 IL Milione is the first Asian restaurant for Michelin-starred chef Marco Gubbiotti, and serves Italian food in a luxurious Hong Kong setting. 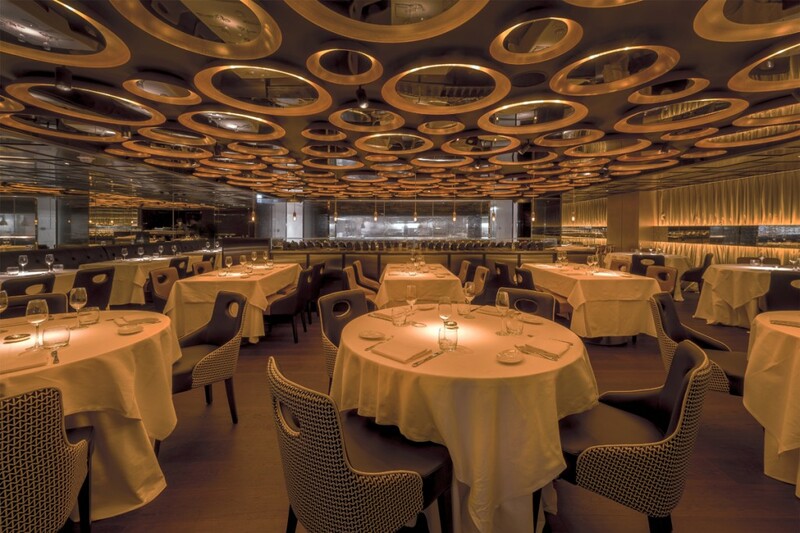 With a low ceiling and little natural light inside it was important to ensure a suitable level of ambient lighting for lunchtime diners, as well as creating the environment for fine dining. 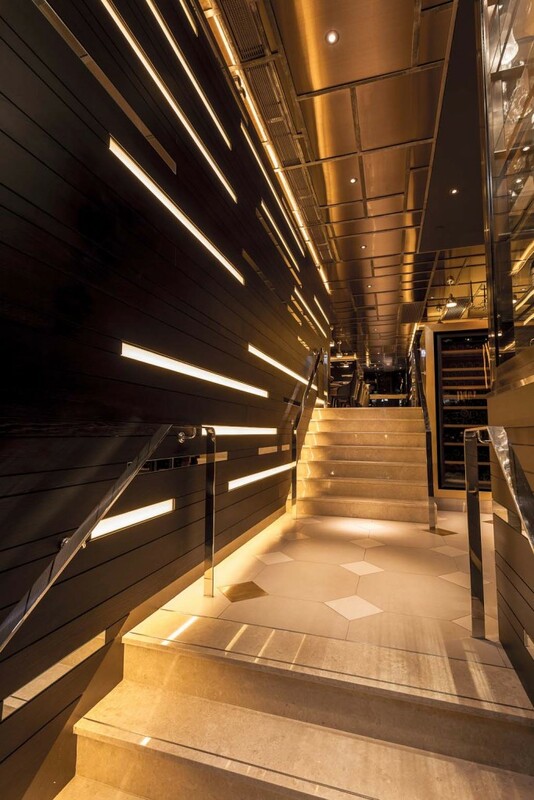 A key element of the brief was to create a dramatic impression through lighting design – a ‘wow’ factor. The design is based around creating a layered scheme. Concealed architectural LED’s provide a base layer of warm white light, with a number of bespoke feature lights designed by into suspended over key surfaces. 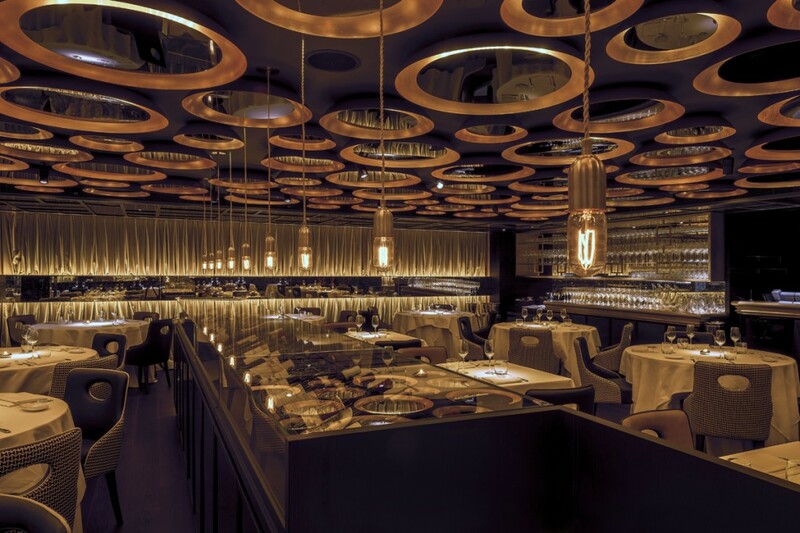 The theatre is in the main restaurant – bespoke illuminated dome-shaped spinnings cover the entire ceiling and house concealed LED light sources and mirrors. This light effect gives the impression of increased ceiling height. 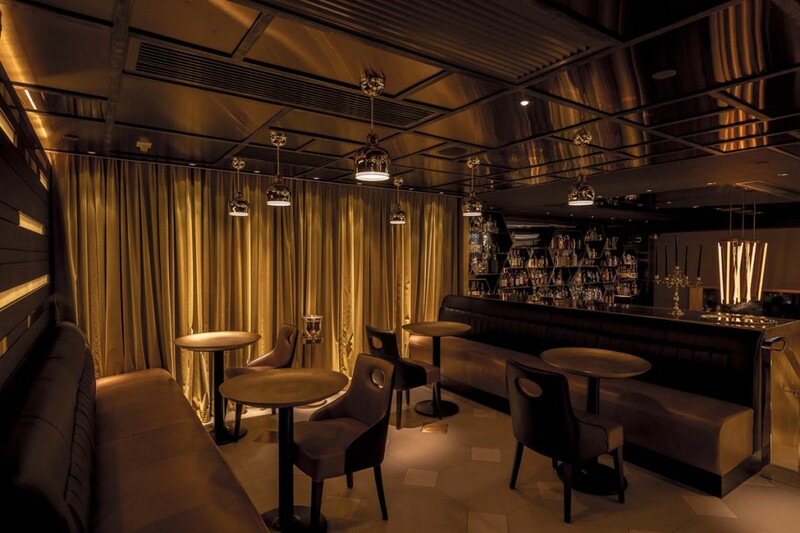 A DMX dimming system was specified for all LED lighting to be dimmed smoothly and to a very low level in the evening. 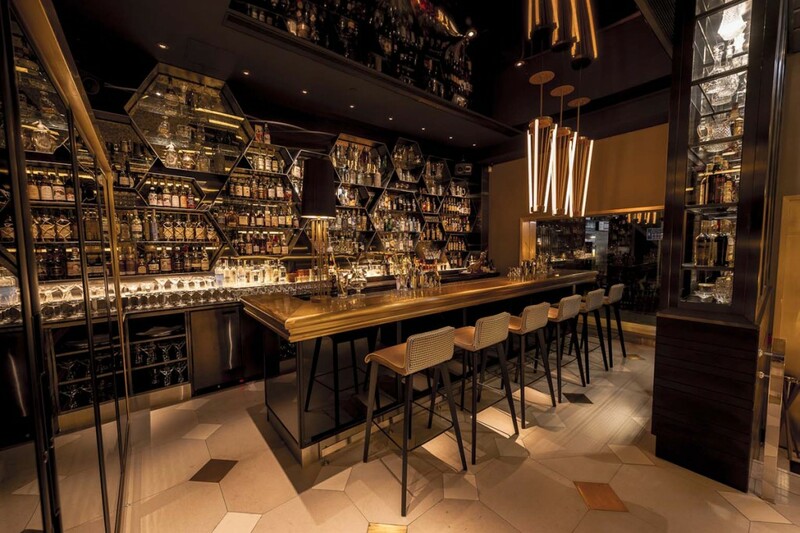 The design of various bespoke pieces creates a dramatic environment. 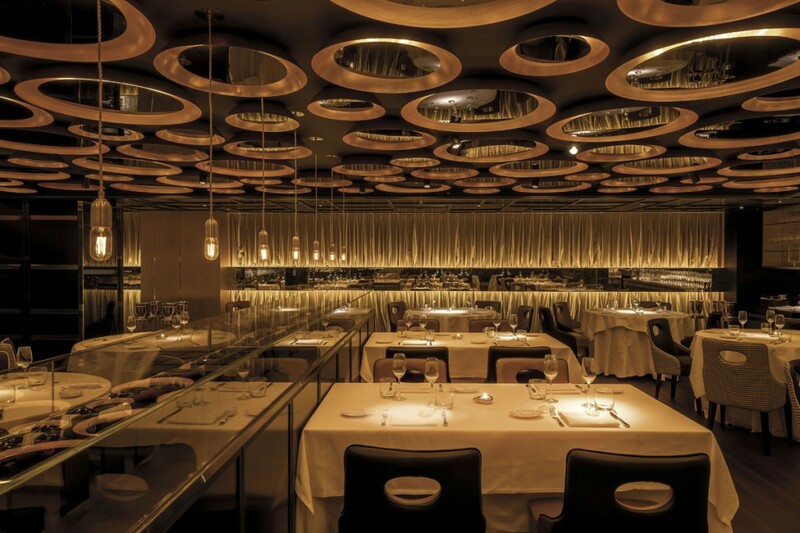 The restaurant has been awarded a michelin star, was a winner at the 2014 International Design and Architecture Awards in the Restaurant category and was shortlisted in the lighting design category at the Restaurant And Bar Design Awards in 2013.